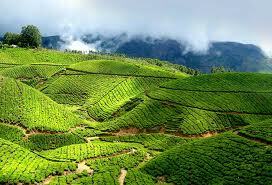 The Tyford Tea estate consists of 1,193 hectares of tea plantations and a factory to process the tea leaves into made tea. The tea gardens also have good irrigation facilities. Estate also contains nurseries, Creche, hospital, Play ground, Golf ground, club house, temples, church. The seven a side foot ball team which represents the estate has won many trophies in the district. We aim at market leadership through the effective use of modern production facilities. The company has a state-of-the-art, tea processing factory with a mechanized handling system which ensures hygiene, consistency in quality and high productivity. The company has five administrative divisions, for better management. Copyright © Typord Tea Ltd.